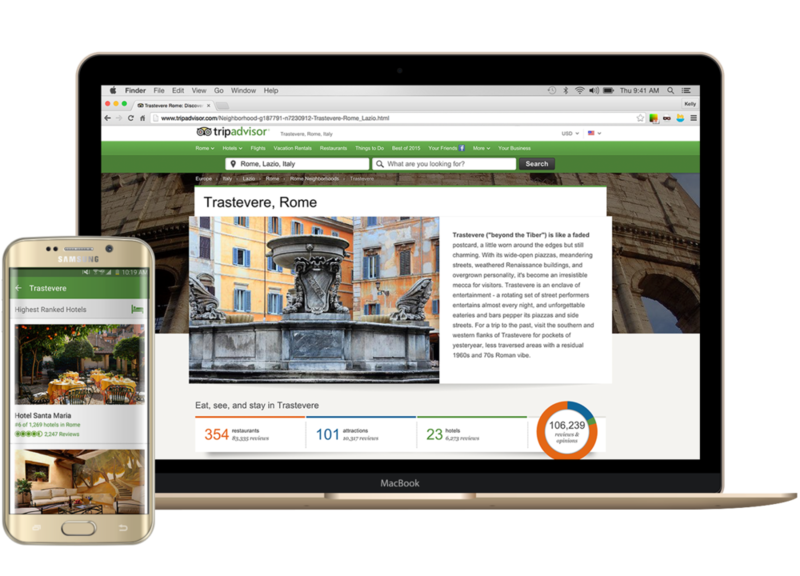 In 2015, TripAdvisor continued to expand the depth of information available for its most popular global cities. Our design team worked closely with product and engineering stakeholders to build TripAdvisor Neighborhoods, which redefined the way our users could plan for a trip. The new database allowed travelers to search for "hotels in Montmartre" or "Fisherman's Wharf restaurants" and view specified results within each neighborhood. Or they could explore pages detailing places of interest in a specific map area, which was especially useful for planning meals and activities near a hotel.